Boller and Chivens entered into a classified contract to develop and manufacture equipment for handling military ordinance raw parts in their final cadmium plating processes. The parts consisted of an inner pair of steel half diameter spherical serrated shells. Two half shells would be then filled explosive material and bonded together. The assembled shells would then receive a pair of sheet metal formed covers that would be crimped together forming a tennis ball size Bomb-let. 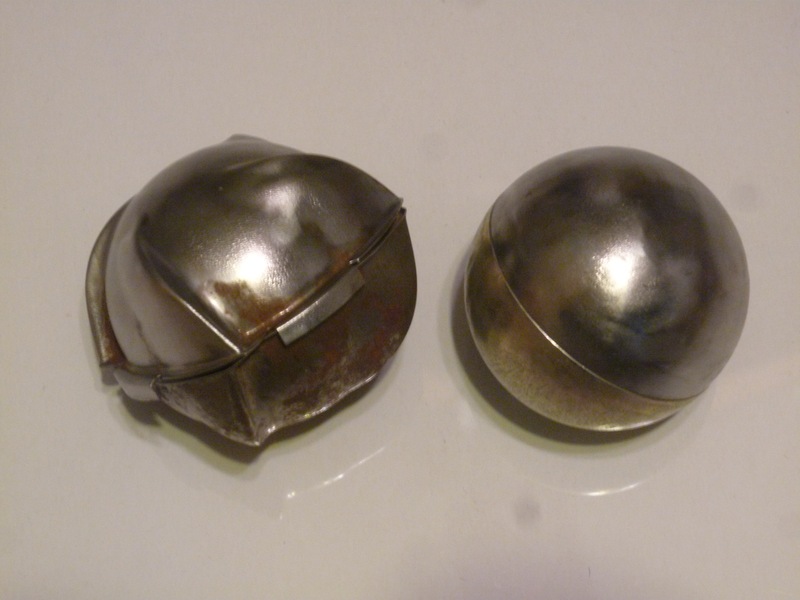 Hundreds of these small Bomb-lets would be deployed from a bomber flying over enemy implements. 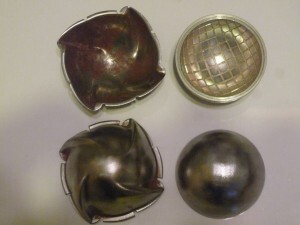 As the Bomb-lets fell the fins on their sheet metal covers would cause them to spin and arm them. When striking the ground they would bounce and detonate spaying shrapnel over a fairly large area. They were very efficient for their purpose. The contract required the plating lie to be completely automated because of the large quantities involved that would be produced. 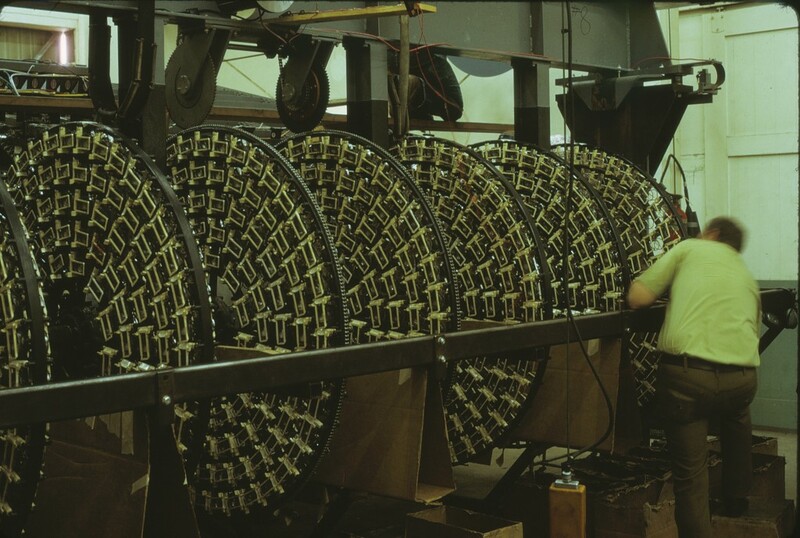 The finished separate type metal parts would be stored in automatic round carousel type accumulators as they were machined. The plating line consisted of a line of large chemical tanks cleaning, etching and cadmium plating solutions. Two computer controlled overhead cranes serviced the plating line. Boller and Chivens developed a large bridge type frame that held a series rotating wheels mounted on a long rotating copper axle. Each of the wheels held several hundred nonmetallic receiver clips. 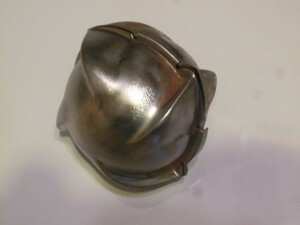 Each clip would hold one type of part to be plated. 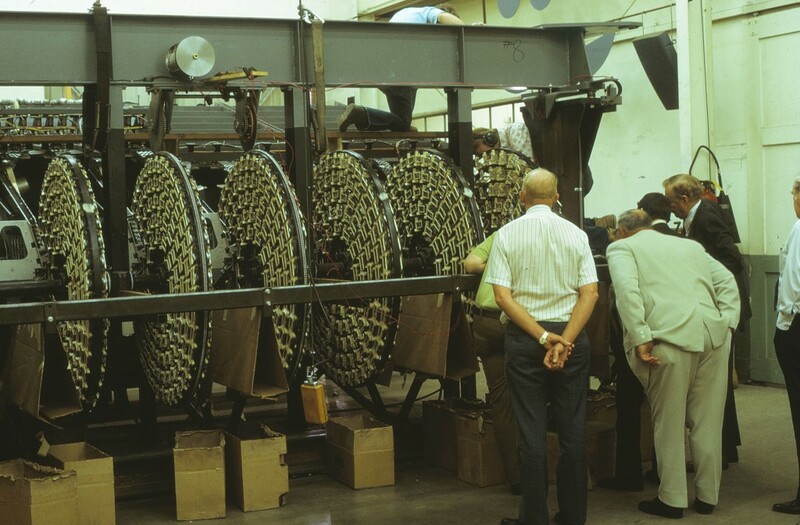 As the series of wheels rotated, one side where already parts had been plated, the clips would open and the plated part would be transported to another automatic round carousel type accumulators. Simultaneously on the opposite side of the wheel when the open clips arrived, non-plated parts would be fed to the wheels empty clips. When all the wheels were filled the crane would pick up the frame and enter it into the plating line operation. Then the crane would bring back a new wheel of plated parts to unload and be reloaded.